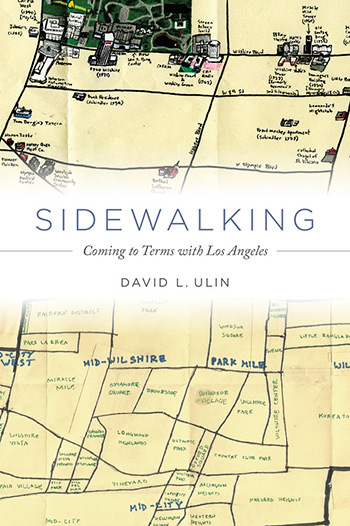 “This is the history of Los Angeles, of California, in a nutshell: appropriation, usurpation, erasure of the past.” In Sidewalking, Los Angeles Times book critic David L. Ulin wanders L.A.—along Wilshire, around Bunker Hill, through the Grove—and as he does, he ponders the city’s fading past and emerging future. A self-described “reluctant Angeleno,” Ulin, who moved here from New York in 1991, brings a sharp eye, a good pair of legs, and a sensitive thoughtfulness to the subject of urban sprawl. Ulin’s musings are immediately relevant, covering everything from the Metro Purple Line extension to Rick Caruso’s proposed trolley expansion to Councilman Jose Huizar’s Bringing Back Broadway campaign. With careful self-awareness and a meandering train of thought, he ponders his surroundings and contemplates his own imposed associations with them. “Lost in a book? 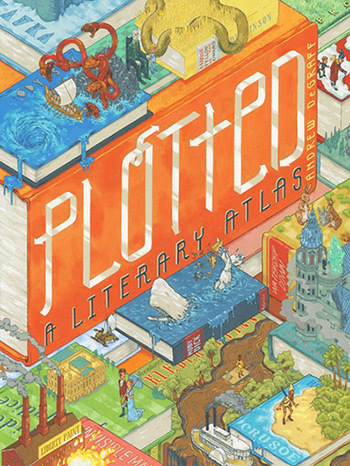 There’s a map for that.” In his marvelous literary atlas, illustrator and pop cartographer Andrew DeGraff (who did some work for us back in 2009) has meticulously mapped the movements of your favorite literary characters through the worlds they inhabit. Lush with detail, each new page is packed with arrows, dotted lines, and cross sections. Track the family from Flannery O’Connor’s A Good Man is Hard to Find to their unsavory end, or join A Wrinkle in Time’s Meg, Calvin, and Charles Wallace on their interplanetary adventure. Huck Finn’s journey down the mucky Mississippi river meanders across six pages, and the maps of Ebenezer Scrooge’s travels are as densely packed as a Dickensian slum. Immediately endearing, Plotted’s whimsical style and staggering attention to detail will have you engrossed. This may be a coffee table book, but be warned: sit down to Plotted with a cup of coffee, and before you know it, you’ll be deep in the world of the Odyssey, your coffee untouched and cold. 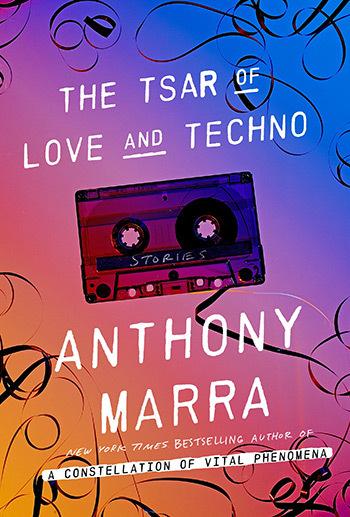 The new collection of stories from Anthony Marra (A Constellation of Vital Phenomena) begins when a Soviet censor in the Department of Party Propaganda and Agitation is given the role of erasing opponents of the USSR from artworks. He does so dutifully until a lovely pastoral painting of a Russian vacation home crosses his path. In a sudden moment of rebellion, he instead adds the image of a dissenter—his disgraced brother, a “religious radical.” The painting resurfaces in each story in the collection, the single thread linking them together through time and space, from 1937 Leningrad to “Outer Space, Year Unknown.” We meet a legendary ballerina, a retired gangster, and a soldier kept under lock and key looking for a message in a mixtape from his family. Cobbled together as a sort of mixtape itself (with four stories under “Side A,” four under “Side B,” and a single-story intermission), Marra’s latest work is tender, touching, haunting at times and humorous at others—in short, a feat. Claude is a successful banker, and that’s all he is. Working at the Bank of Torabundo in Dublin—one of the few banks to weather the financial crisis unscathed—Claude spends 100+ hours per week wading through spreadsheets and advising clients, and he finds fulfillment in the mind-numbing totality of his work. That is, until he is approached by an mysterious author named Paul (coincidence? Decidedly not) who’d like to write a book inspired by his life at the bank. What begins as monotony soon turns madcap as a German reggae band, an undercover KGB agent, and a poorly-planned bank heist come into the picture. 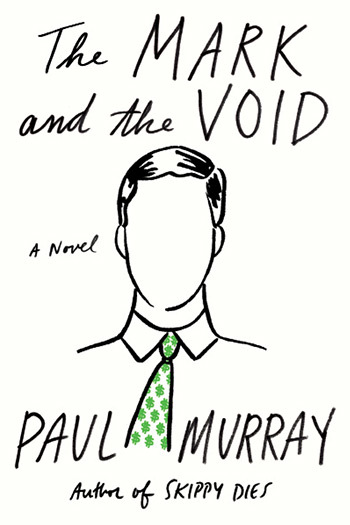 Perceptive, laugh-out-loud funny, and just meta enough to keep you on your toes, The Mark and the Void is a tale of bad decision-making on a scale both personal and institutional. When Diana Nyad completed the 111-mile swim from Cuba to Florida in 2013, it was a triumph of spirit and strength 30 years in the making. At the age of 64, Nyad achieved the seemingly impossible—a 53-hour journey without the protection of a shark cage. 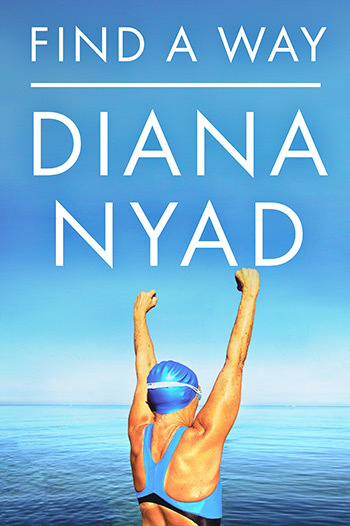 It was the ultimate fulfillment of her mantra “find a way.” From the arduous training to the disappointment of an incomplete attempt, Nyad recounts the story in detail and with vigor, giving an inner look at the astounding resolve and determined optimism of one of the world’s greatest ocean-swimming champions. “The true weird tale has something more than a secret murder, bloody bones, or a sheeted form clanking chains,” H.P. Lovecraft writes. “An atmosphere of breathless and unexplainable dread of outer, unknown forces must be present.” These 12 tales from masters in the genre, selected specifically to tap into that ambiguous fear of unnatural forces, are packed with horror. Carcosa is filled with tension, shock, and the terrible realization that, perhaps, you’re already dead. 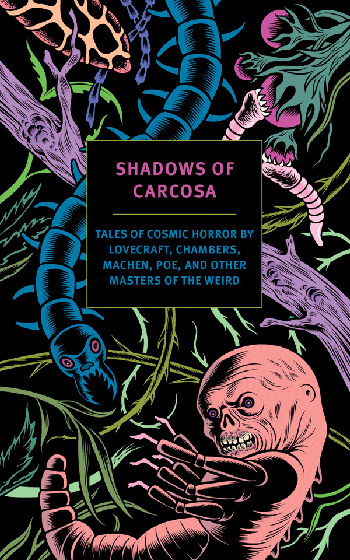 This creepy dozen (including a few of Lovecraft’s own admitted favorites of the genre) are the perfect reading material for a rainy El Nino night (ideally ready by candlelight at 3 a.m., the witching hour). It is October, after all, and there’s no better time to indulge in good old-fashioned macabre.